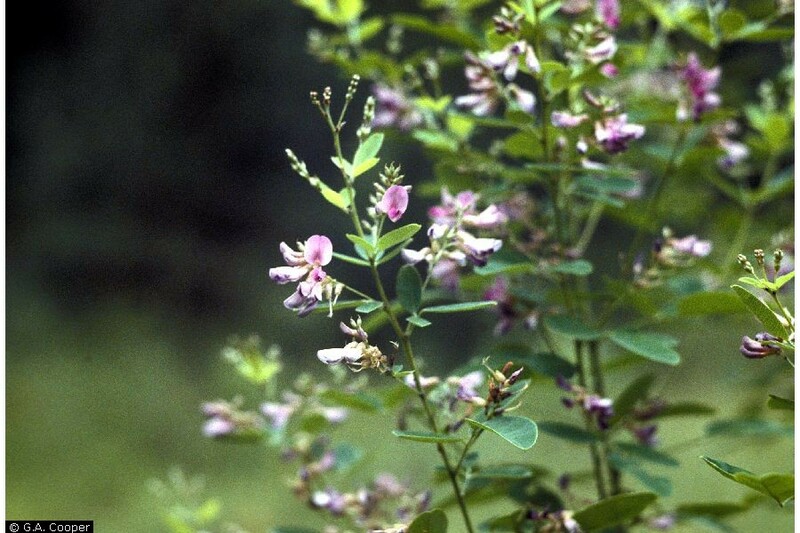 Desmodium cuspidatum.G.A. Cooper @ USDA-NRCS PLANTS Database.Courtesy of Smithsonian Institution. (Accessed 5/2014). 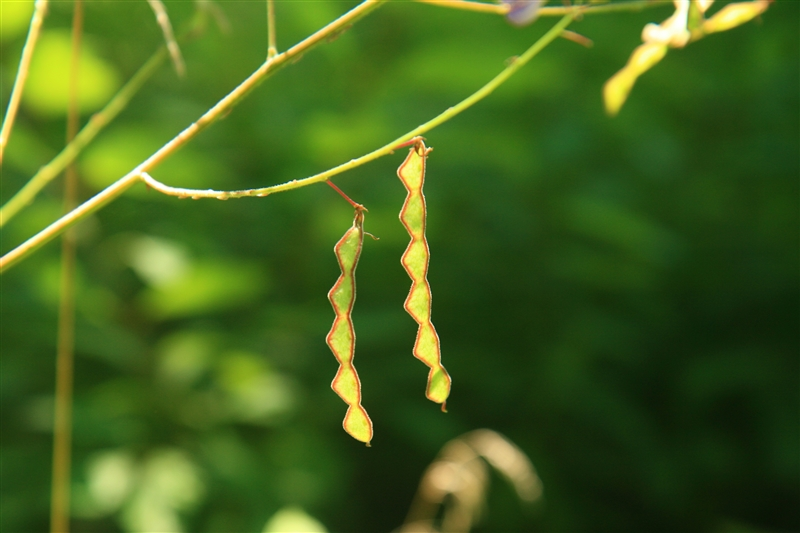 Desmodium cuspidatum is a perennial herb to 2 m tall, stem stout; stipules lance-shaped, to 1.7 cm long. Leaves alternate, 3-parted, leaf stalk to 8 cm long, terminal leaflet to 14 cm long, 6 cm wide, egg-shaped, tip sharply long-pointed, lateral leaflets narrower, bright green above waxy-pale below. Desmodium cuspidatum flowers. Jeff Hansen. Kansas Native Plants. www.kansasnativeplants.com (Accessed 2/2018). 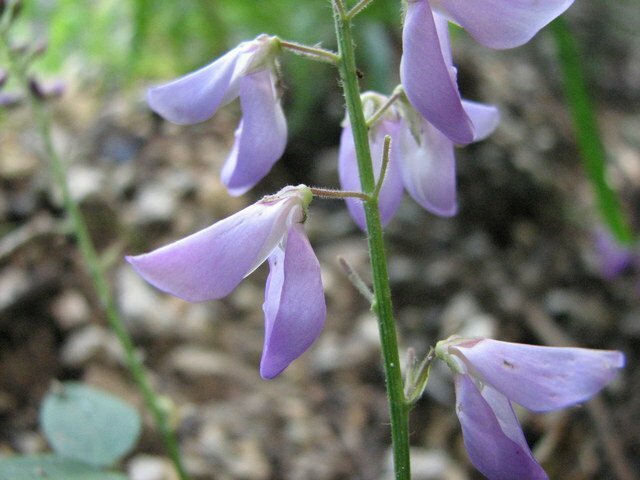 Flowers pink, pea-flower-shaped, to 0.8 cm; blooms July-Aug.
Desmodium cuspidatum fruit. A. A. Reznicek. Herbarium, University of Michigan. michiganflora.net (Accessed 2/2018). Fruit dry, hairy, jointed between seeds, 3-7 segments, to 1 cm long, 0.5 cm wide, rhomboidal, somewhat rounded above, slightly pointed below.